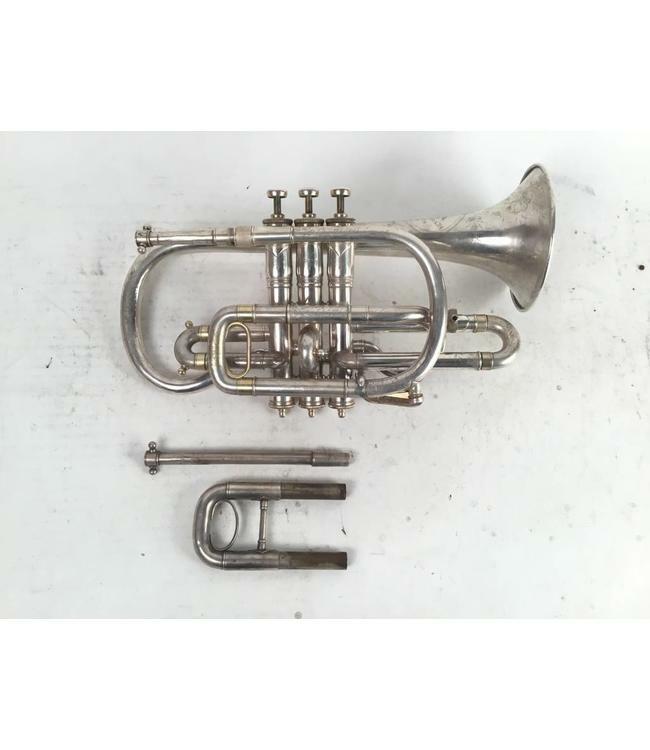 Used Henry Diston Bb cornet in silver plate. Includes high and low pitch tuning slide and 2 bits. Includes case. s/n 20616 on valves and 18541 on bell.